I was all too glad to oblige. I've seen a lot over the years. Clapham and Brixton have changed. For better, in the property sense. What I've seen over time is that Clapham has been Brixton’s affluent neighbour. This is still true to a certain extent; property prices are indeed higher there. Indeed places like Clapham Old Town and Between The Commons (arguably Battersea but we’ll agree it’s a desirable area bordering Clapham Common so let’s call it Clapham today) have always been desirable and you will see a lot of families living here. Less flats, more houses. And these prices, just like properties in Chelsea have gone up a good amount over the years. What’s the problem then? Buy the most expensive house you can afford in the nicest possible area and you will have the best investment? Yes and no. Maybe a great investment from a capital growth perspective. Not the best investment from a yield perspective. You see here’s the thing. The desirability of those houses is very much restricted to a certain target audience – families. And as you will know from various research people are waiting longer and longer to start families. Single occupation units are on the rise. Why do you think all these room let people are doing so well? 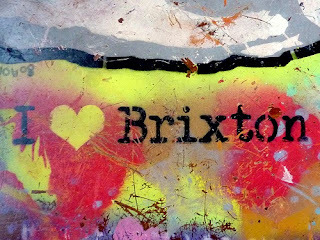 So let’s look at Brixton for instance. Hip, young trendy, the Dalston of 2014 it was called. Or Hoxton or Deptford, I can’t keep up with this skinny drainpipe jeans bearded lot… Anyway point I’m making is that properties are CHEAPER to buy in Brixton than they are in Chelsea. And more desirable for the hip and trendy young folk. Which is good, because they want to rent. They don’t want to be tied down with a wife, kids and a labracockadoodledoo (or whatever). This means that rental demand is better – it always is in cheaper segments of the market. Cheaper cars sell in greater volume than Bentleys and Rollers…Families don't want to rent as much, so your expensive house won't yield as well as a smaller house or flat in Brixton for example. With yield I mean the % of rent vs purchase price. Now Mr. Landlord reminded me that his property’s prices went up by 17.8% in the last two years. I reminded him that SW4 property prices went up by 18.4% over that period and SW2 property prices went up by 20%. And with better rental yields than in Chelsea he had seen the light. He quickly asked me to source some investments for him! If you’re ever passing by Clapham Park Road or you fancy a chin wag about the weather or property (I know a bit more about the latter truth be told) come in and see me! Or drop me a line on jeroen@xandermatthew.com or hop on the phone 020 3397 2099. Happy to talk investments and property all day long.